Triumphant in the Flowerbed competition were: Brian Massamba of Ingram Road Primary School, Sophie Moran of Alwoodley Primary School, Jessie Brannan of West End Primary School, Horsforth, Thomas Wheelhouse of Kippax Greenfield Primary School, Zachary Brabbs of Kippax Greenfield Primary School and Hasnain Malik of Primrose Hill Primary School, Pudsey. 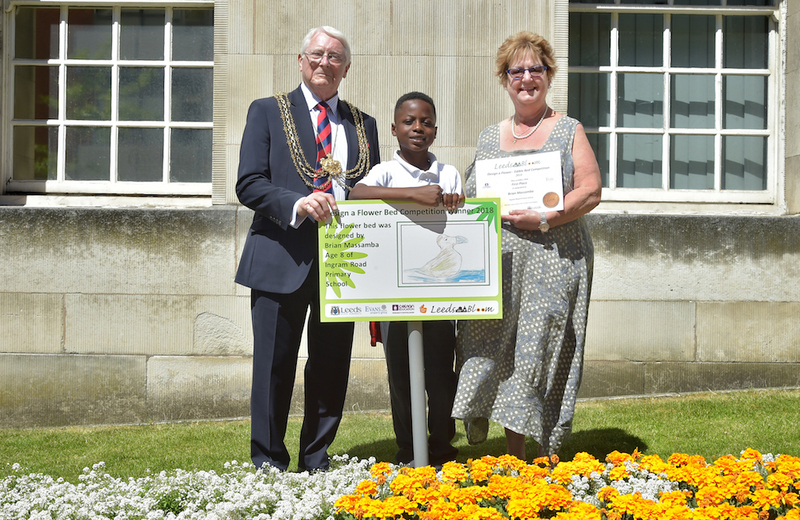 This year saw over 2,500 entries from 64 schools, and every youngster taking part received their own certificate. The competition plays a big part in Leeds’s entry into this year’s National Britain in Bloom competition, which will be judged on 7 August 2018. NEXT POST Next post: Will South Leeds get clean air?